308 pages | 23 B/W Illus. This book exposes Turkish policies concerning European Jews during the Hitler era, focusing on three events: 1. The recruitment of German Jewish scholars by the Turkish government after Hitler came to power, 2. The fate of Jews of Turkish origin in German-controlled France during WWII, 3. The Turkish approach to Jewish refugees who were in transit to Palestine through Turkey. These events have been widely presented in literature and popular media as conspicuous evidence of the humanitarian policies of the Turkish government, as well as indications of the compassionate acts of the Turkish officials vis-à-vis Jewish people both in the pre-war years of the Nazi regime and during WWII. 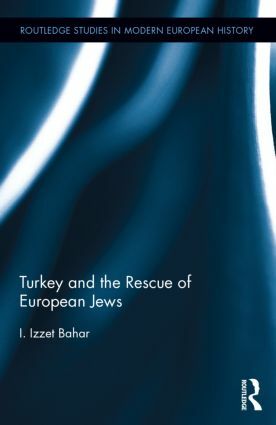 This volume contrasts the evidence and facts from a wealth of newly-disclosed documents with the current populist presentation of Turkey as protector of Jews. Introduction 1. Turkey’s Approach to Minorities, in Particular to the Jewish Minority, in the First Fifteen Years of the Republic Part I: German Scholars in Turkey 2. Humanity or Raison d’État, German or Jewish: The German Scholars in Turkey, 1933-1952 Part II: Jews of Turkish Origin in France 3. Myths and Facts: What Happened to Turkish Jews in France During WWII? 4. Anti-Jewish Economic Measures in Wartime France and Their Effect on Turkish-Origin Jews 5. "Irregular" Turkish Jews in France in 1944: The Aroused International Interest and the Turkish Stance 6. The Rescue of Jews of Turkish Origin: Post-1990 Interviews and Testimony Part III: Turkey and the Jewish Refugee Problem 7. The Approach of Turkey to the Jewish Refugee Problem. Conclusion. Appendices. I. Izzet Bahar received his doctoral degree from the Jewish Studies Program at the University of Pittsburgh. He is currently working as an independent scholar.